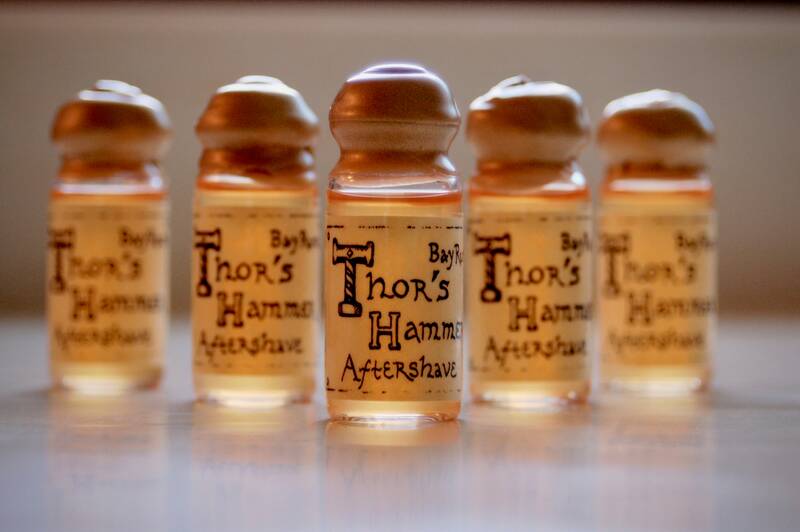 The scent of the seafarer and warrior, this classic bay rum aftershave is fit for the gods! 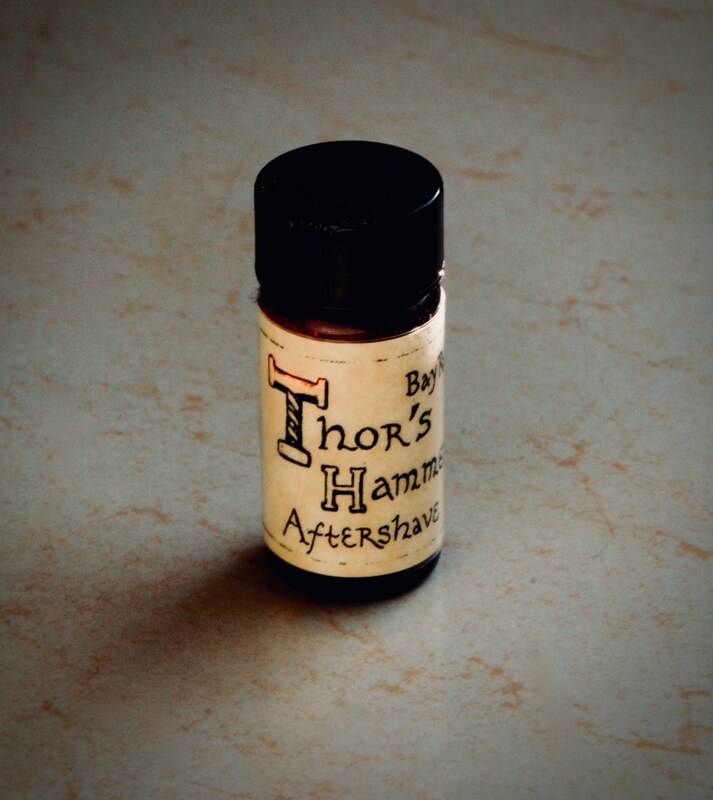 Fresh, spicy bay and a touch of bright orange blends with base notes of cinnamon, clove and allspice for a scent that is manly and refreshing. Splash on after shaving for a smooth, invigorating feel. Created by a real man and approved by his woman, each batch is hand made and aged to perfection. Makes a wonderful gift. Cork top comes sealed with gold sealing wax. To open, carefully score the wax near the bottle neck and peel off until cork is free. The screw cap is secure for travel. For external use only. As this is an all natural product, some sediment is normal and color may vary slightly between batches. West Indies Bay Oil - spicy, fresh, rich sweet-balsamic undertone fragrance; anti-inflammatory, anti-bacterial, anti-fungal, analgesic, works as a skin toner and can help against razor burns and breakouts. Your information is used only to process orders, and will never be shared. Store products in a cool, dry place away from direct sunlight. The shelf life of oil-based products (salves, oils, lip balms, perfume oils) is approximately one year. Massage and body oils may be refrigerated for extended shelf life. Do not refrigerate salves or lip balms, as they will become too hard to dispense. Aftershave gets better with age! Deodorants are alcohol based and last indefinitely. Essential oils are highly concentrated plant essences. This makes them powerfully theraputic, but also demands they be used with care. Please see individual listings for product specific contraindications, and consult your healthcare professional if in doubt or if you have a serious health condition. Always avoid eye contact, and test salves on a small patch of skin to check for rashes. If allergic reaction occurs, wash off product and apply a carrier oil such as almond, olive or coconut to the affected area. Seek professional medical help if symptoms persist. All orders are shipped by USPS First Class, usually on the next business day. Orders over one pound are shipped Priority. If you need an item by a certain time, please contact the shop owner before placing your order. The sample size of Thor's Hammer arrived sooner than expected. I would highly recommend this shop and their version of bay rum. The bay rum itself is light and well rounded with subtle notes of citrus. A very intrinsic and well made formula for those who like a more mellow rum on their face. It begins with a front and center rum scent enclasped in notes of earth, wood, and light notes brown sugar. Spice notes of bay leaf, orange zest, and clove surround the rum. 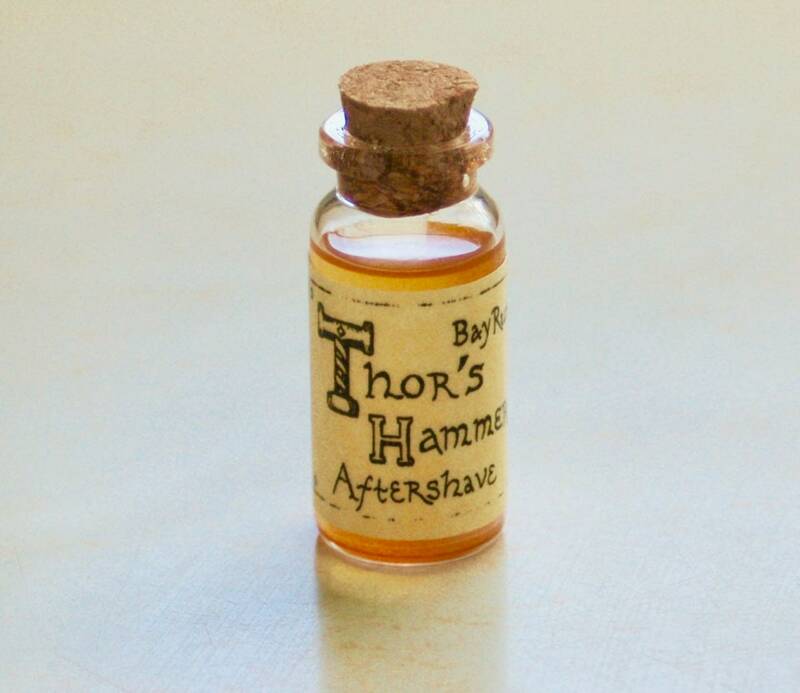 This aftershave does not tend to last long - as expected - but the one ingredient that does remain long enough to notice is the clove. Yet, it's not overbearing or overwhelming. A nice balance between the rum, spices, and clove are met in this version of bay rum. I use it as a cologne on my pulse points. Works great! Very quick shipping and just a wonderful lovely light scent. No wonder the Victorian women liked their men to wear it!